This book has a lot of general information about the subject. However, in Colorado, the law is not clear. 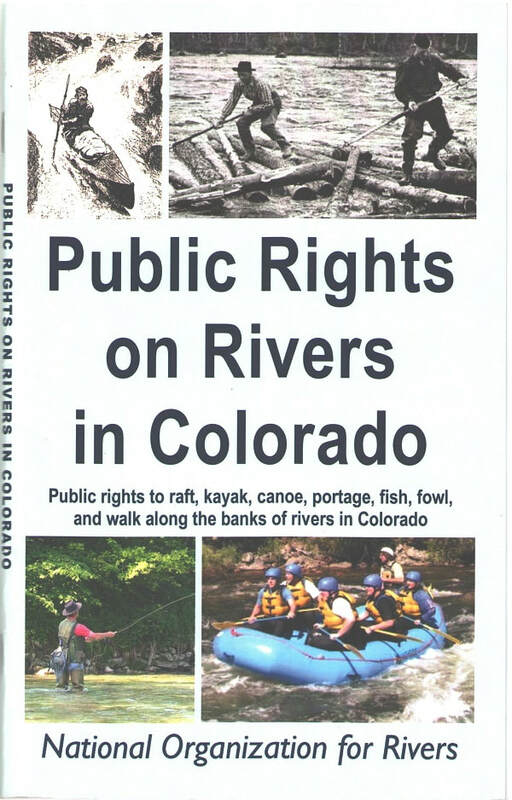 If one wonders whether he or she can float on a river through private land in Colorado, this book doesn't give the answer, as there is no definite answer in Colorado. This is a good book and should be read, but it can't answer the basic question of whether you can float. The legislature in Colorado does not want to offend large groups of voters, so they avoid establishing a definitive state law on river access. Politicians try to get landowners and river users to settle claims locally so they don't have to deal with the issue. These comments are by Roger Faaborg.